Why do you need a chimney liner? Chimney liners are a very important aspect of your heating appliance chimneys, especially when you are switching from oil to gas. Chimney liners have become mandated by most fire codes because they are instrumental in keeping you and your family safe. Having a chimney liner inside your chimney serves many important functions. Besides protecting the walls of your chimney, a chimney liner also redirects smoke and other gases outside of your home and into the atmosphere. Gas- and oil-burning furnaces need to be properly ventilated so harmful gases, such as carbon monoxide, do not leak back into your home. There are three different types of chimney liners: clay, cast-in or metal. Guaranteed Home Improvement offers stainless steel liners because they are the safest and most durable, and can be used for either wood-burning fireplaces, gas-burning fireplaces, gas-burning furnaces or oil-burning furnaces. If you have a clay chimney liner (a lot of old gas-burning furnaces do), you may want to consider getting it replaced. Over time, the clay can crack, split and cause unsafe conditions in your chimney. If you are not sure what kind of chimney liner you have in your gas furnace, Guaranteed will come do a chimney inspection to ensure that everything is safe and working properly. The benefits of having a professionally installed chimney liner. Just a brief note to compliment your company and its people, specifically Mike and Alberto on the very professional manner in which the repair estimate and the subsequent repair of the boiler chimney and the chimney itself was executed. 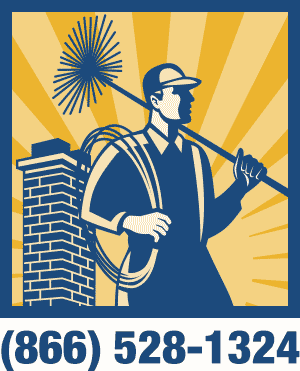 I will not hesitate to recommend Guaranteed Chimney to any of my friends who might need similar work. Thank you again for a job well done!